Parallel and Distributed Programming Using C++ provides an up-close look at how to build software that can take advantage of multiprocessor computers. Simple approaches for programming parallel virtual machines are presented, and the basics of cluster application development are explained. Through an easy-to-understand overview of multithreaded programming, this book also shows you how to write software components that work together over a network to solve problems and do work. 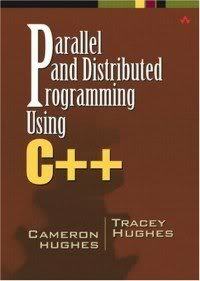 Parallel and Distributed Programming Using C++ provides an architectural approach to parallel programming for computer programmers, software developers, designers, researchers, and software architects. It will also be useful for computer science students. CAMERON HUGHES is a senior software engineer for CTEST Laboratories and a staff programmer/analyst at Youngstown State University.